We are delighted to announce that Kip Williams is the new Artistic Director of Sydney Theatre Company (STC). Kip commences in the role straight away, and will begin programming our 2018 Season. Kip first worked with STC in 2011 when Andrew Upton invited him to be Assistant Director on his production of The White Guard. In 2012, he became Directing Associate. He was then invited, along with Sarah Giles and Sarah Goodes, by Upton to become a Resident Director at STC, a post he has held since January 2013 until taking up the role of Interim Artistic Director in August 2016. Ian Narev, STC Chairman, said today, "I am thrilled to announce Kip Williams’ appointment as Artistic Director of Sydney Theatre Company. Kip was appointed after an extensive process that included a review of potential international and Australian candidates, consultation with members of the artistic community and interviews with an impressive short list of theatre makers. “Through our deliberations, we always returned to the notion of STC being an artist-led company with a distinctive heritage and voice. We believe Kip consistently makes some of the most exciting theatre in Australia, and many others in the industry share that view. “Kip is a visionary artist who spoke to us about his love for the Company, and his practical vision for how it can use its strong foundations to reach even higher artistic standards for audiences, artists, staff and the community. The esteem in which he is held by colleagues, from the country’s leading artists to those just starting out, is clear. All of us on the board were unanimous that Kip was the standout choice as Artistic Director” Mr Narev said. Kip said today: “It is both an honour and a privilege to have the opportunity to work alongside the Australian theatrical community to further STC's tradition of sharing stories both big and small, with Sydney and beyond. I look forward to working closely with Executive Director Patrick McIntyre and all my colleagues on The Wharf as we take our company forward into its next chapter. “STC has been the watering hole our great artists have constantly returned to, whilst also being the birth place of the careers of some of our most important story tellers. I am incredibly excited to have the opportunity to collaborate with Australia's great theatre makers, whilst developing the next generation of artists. I’m passionate about deepening the conversation with our audience, and inviting more people to join in. It's an incredibly exciting time to be in the job,” Kip said. Many audience members will have met Kip over recent years at our Insight Events or in our foyers. Kip’s most recent work for STC was A Midsummer Night’s Dream, his third Shakespeare for STC following productions of Romeo and Juliet and Macbeth, featuring Hugo Weaving. Earlier this year, he directed All My Sons by Arthur Miller and The Golden Age by Louis Nowra. His other work for STC has included Love and Information by Caryl Churchill (nominated for the Helpmann Award for Best Direction of a Play), Suddenly Last Summer by Tennessee Williams (winner of the Helpmann Award for Best Direction of a Play) and Children of the Sun by Maxim Gorky, adapted by Andrew Upton. This is a very exciting appointment for Sydney Theatre Company. Kip is a rigorous, thoughtful and original theatre maker, but never at the expense of keeping his audiences engaged and stimulated. He is a considerate collaborator, is genuinely engaged with a wide range of issues affecting the future of the art form and of the industry, and has great curiosity and energy. I think he will be a great leader of the country’s biggest theatre company. We hope to see you soon at the theatre. Kip Williams’ first engagement with STC was in 2011 when Andrew Upton invited him to be Assistant Director on his production of The White Guard. Later, he fulfilled the same role for Richard Cottrell on Loot, for Benedict Andrews on Gross und Klein (Big and Small), and for Neil Armfield on The Secret River. In 2012, he became Directing Associate, and directed Under Milk Wood by Dylan Thomas, the first of Williams’ many critically acclaimed shows for STC. Williams was then invited, along with Sarah Giles and Sarah Goodes, by Upton to become a Resident Director at STC, a post he has held since January 2013 until taking up the role of Interim Artistic Director in August 2016. His most recent work for STC was A Midsummer Night’s Dream, his third Shakespeare for STC following productions of Romeo and Juliet and Macbeth, featuring Hugo Weaving. Earlier this year he directed All My Sons by Arthur Miller and The Golden Age by Louis Nowra. His other work for STC has included Love and Information by Caryl Churchill (nominated for the Helpmann Award for Best Direction of a Play), Suddenly Last Summer by Tennessee Williams (winner of the Helpmann Award for Best Direction of a Play) and Children of the Sun by Maxim Gorky, adapted by Andrew Upton. 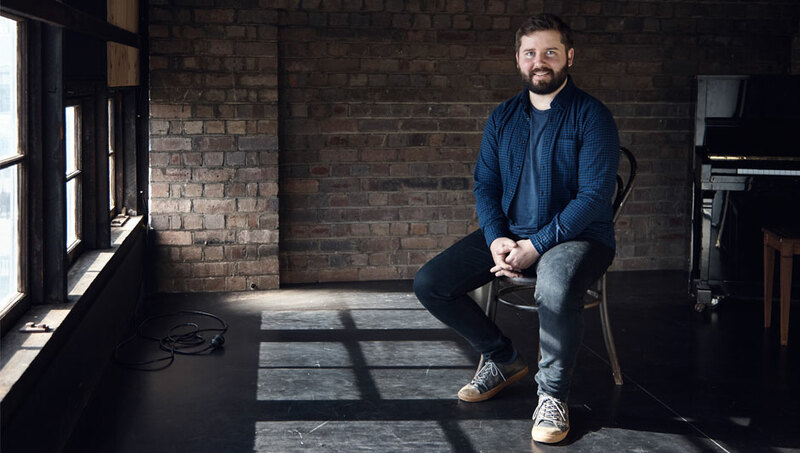 He was also Associate Director with Upton on his adaptation of Rostand’s Cyrano de Bergerac and Dramaturg on Sarah Goodes’ production of Sarah Ruhl’s Orlando. For Sydney Chamber Opera, Williams has directed Index of Metals, The Lighthouse and the double bill Ich Habe Genug and Nunc Dimittis. For Melbourne Theatre Company, he has directed Miss Julie. For Malthouse Helium and US-A-UM, he directed an all-female production of Lord of the Flies; for Tamarama Rock Surfers he directed the premiere of Maree Freeman’s Fallout at the Old Fitz Theatre; and for the Sydney Writers’ Festival he directed 1001 Nights. For the 18th Biennale of Sydney, he directed Through the Gates (also for Sydney Chamber Opera). For Princeton Theatre, New Jersey, he directed Fifth of July, for National Theatre, Melbourne, he directed One For the Road, and for NIDA he directed productions of Cloud 9, Lord of the Flies and Samuel Beckett’s Not I. He has also been Assistant Director on several operas: Jim Sharman’s production of Cosi fan tutte for Opera Australia and The Turn of the Screw and Albert Herring for Victorian Opera. Kip directed the short films B, Bee & Mee and Walk, as well as music videos for Guineafowl, including 'Little Fingers' and 'Botanist', which was listed in ABC’s RAGE 50 list of the top music videos for 2009. He was Dramaturg on Maree Freeman’s This House is Mine for Milk Crate Theatre. Williams completed a Master of Dramatic Art in Directing at NIDA, and a Bachelor of Arts (Media & Communication), University of Sydney.